يوفر فندق Southern Laughter Backpackers ظروف إقامة راقية وهو خيار رائج للسياح ولرجال الأعمال أيضاً. يقع في منطقة مطاعم, سياحة, رياضات من المدينة. يمكن من هنا للضيوف الاستمتاع بسهولة الوصول إلى كل ما تقدمه هذه المدينة النابضة بالحياة. يشكل هذا الفندق ملاذاَ مريحاً للاسترخاء ويمنح زواره فرصة للاستجمام والتجدد، وهو يقع على بعد خطوات من المعالم السياحية الكثيرة للمدينة. يقدم Southern Laughter Backpackers خدمات لا غبار عليها وكل أشكال اللياقة وحسن الضيافة اللازمة لإسعاد ضيوفه. تتضمن الميزات الرئيسية في هذا الفندق: واي فاي مجاني في جميع الغرف, تسجيل وصول/خروج سريع, تخزين الأمتعة, واي فاي في المناطق العامة, صف السيارات. بالإضافة لهذا، تتضمن كل غرف الضيوف مجموعة واسعة من وسائل الراحة . بعض الغرف توفر حتى اتصال لاسلكي بالإنترنت, غرف لغير المدخنين, تدفئة, مكتب, ساعة منبه لإرضاء أكثر الضيوف تطلبًا. يمكنك الاستمتاع بالأجواء المريحة التي تقدمها حوض استحمام ساخن, التزلج على الجليد, حديقة, غرفة ألعاب طوال النهار. مهما كانت أسبابك لزيارة المدينة، فإن Southern Laughter Backpackers هو الخيار الأفضل لإقامة مثيرة وممتعة. Friendly staff, great location. Good prices. Near downtown for ski bus, supermarket, Fergburger. Free soup every night after 6pm, great for budget travellers. Private rooms are excellent value compared to hotels. Washers and dryers onsite too. Overall it was a comfortable experience. I stayed in a double room. Only downside was that the shower temperature was not adjustable/or either too long delay time (over 3 mins). You can see featured paintings/cartoons on the walls. Not the first time I've stayed here but this time was great. There were 3 of us and we were given the house next to main building which had two bedrooms, lounge, kitchen and bathroom. It is basically in the middle of town. Couldn't have asked for better. 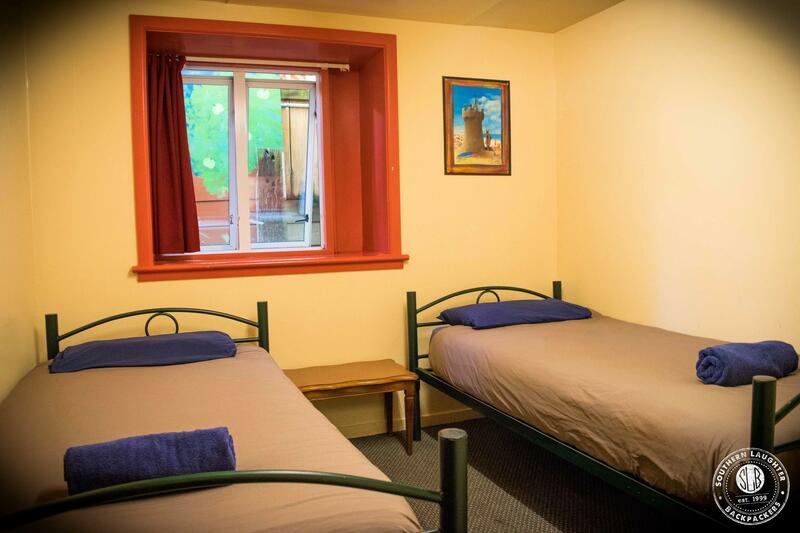 Will always stay here, best value in Queenstown for anyone on a budget. We booked double bed room. The room light doesn't turn on. Good thing, the head lamp is. TV has only one channel working. The room #4 location is not pretty good at night because outside our window are the swings where people smoke. So got to close the windows at night. The 2 shower rooms and toilets are always available during our use. I'm fine with them. The kitchen area, was also okay. I just couldn't find a place where I can put our free food. So I just wrote "free" with pen the plastic and put it inside the ref. The reception is well-mannered and friendly. The location is very good. Just a few mins walk to the shops and restaurants nearby. Loved the home-like feel of the hostel! I stayed in a four-bed dorm and it had a private toilet, shower and kitchen shared with just one other room. Staff was super-friendly and helpful and the free soup in the evenings was a nice touch (also tasty!). I'd definitely recommend this place. Only minus was that during four days, no one emptied the rubbish bin in our room (and it was full). I went to Queenstown to snowboard for a week with a friend ant this place was ideal for our purposes. 3 mins walk to the buses for Cardrona and the Remarkables; 5 mins walk to all restaurants and bars. Bed is comfy, room is smallish. Kitchen lacks utensils, bathrooms are not cleaned very regularly. Location is excellent, parking available is a great asset. They don’t clean rooms at all, found a mountain of crumbs and an empty bottle of alcohol beneath our bed. The place was awesome for the price, very out dated though and could do with a bit of a tidy up. The bed however was extremely uncomfortable and when I was packing up my room I noticed a big blood stain under the mattress covered with some paper towel.. Other guests were also very noisy at all hours of the night but to be expected when staying in shared accommodation. Overall though my experience was ok and would recommend for a very cheap alternative. We were in a private double room just outside and in via a different entrance - like a Separate house. This was awesome but the other couple on the house were extremely noisy so my only gripe is not with the hostel but the other who stay there with no consideration for others! 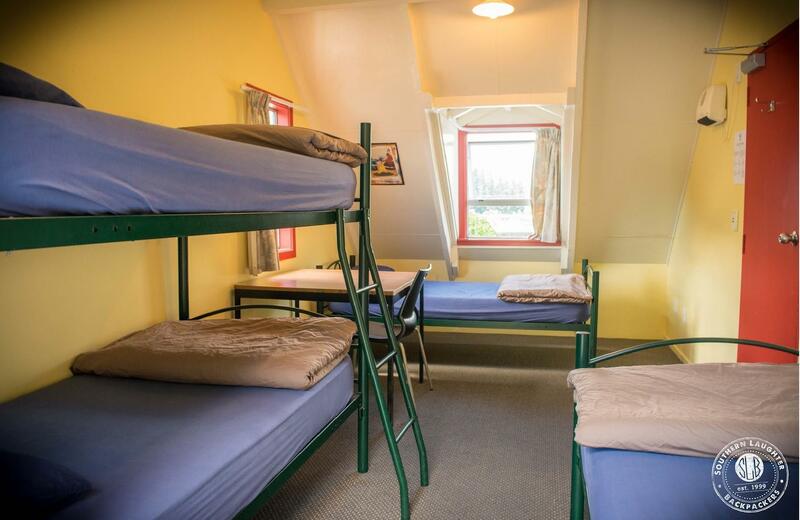 Which you will always get in a hostel! Great location! Easily access to everywhere. The room was not very well maintained and placed in a major thoroughfare. There also seemed to be a pump directly outside the window that continuously activated throughout the night. Finally, the pipes to the communal kitchen upstairs were also poorly maintained and squeeled when people used them. Overall a poor stay. Overall a decent place to stay. A little old/run down in places, but good enough for a short stay at least. 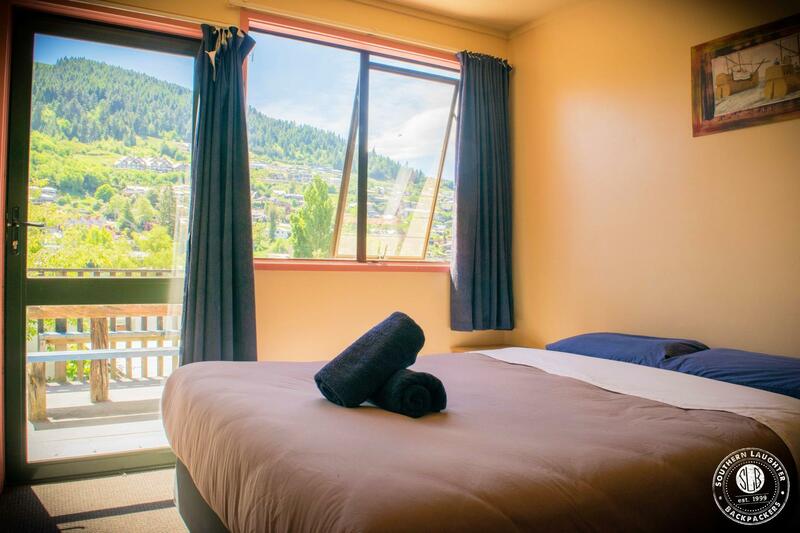 within walking distance to queenstown public transport hub, gondola, supermarket and etc. 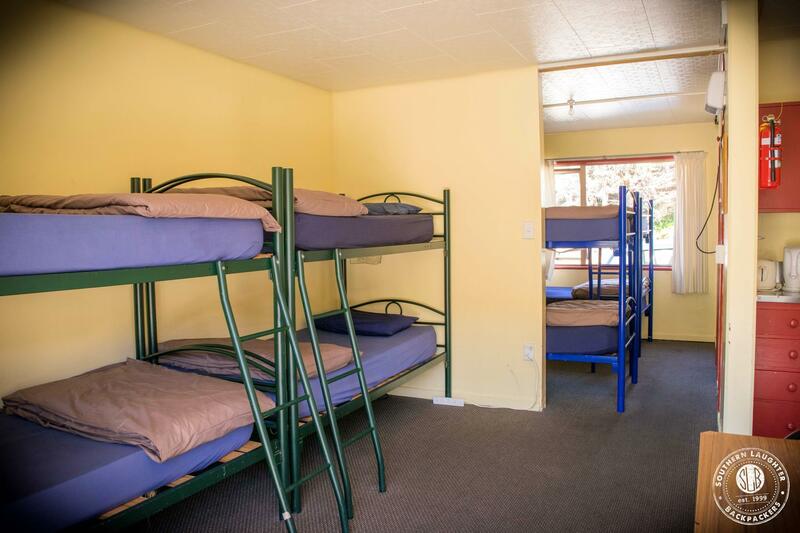 The accommodation provide all basic need. The location is walk in distance with town. Nothing to complain about, awesome value for your money.